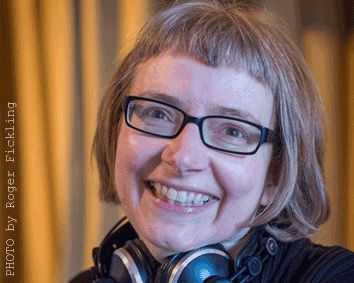 Bärbel Rücker and Paul Strudwick draw on their combined experience of tango dj’ing and sound engineering to present this essential guide for anyone wanting an appreciation of the skills involved in organising a tango music library and dj’ing. The DJ Seminar is organised into 2 parts plus a session for your own questions. Part 1 – Tango Music will be about where to find tango music and helps to understand the often mentioned and discussed file formats (FLAC, mp3, wav etc. ), which orchestras shouldn’t be missed out and which ones could be interesting to explore more. Part 2 – Milongas will be about the quality of the sound equipment and tips on how to control the sound during a milonga. How to prepare for the milonga and how to construct tandas. What to consider when choosing cortinas and how to dj a good night. Part 3 – Questions & Answers will give you the opportunity to present your own projects and to reinforce the presented material. It’s recommended to bring your own laptop, sound card and music. This we hope will also give people who are not dj-ing the tools to appreciate and appraise other djs and events, and of course is relevant to anyone running events. simply wants to understand more about the role of a tango DJ. The seminar can be taught in English and German. Paul Strudwick is the organiser & regular DJ at the Magic Roundabout Milongas. 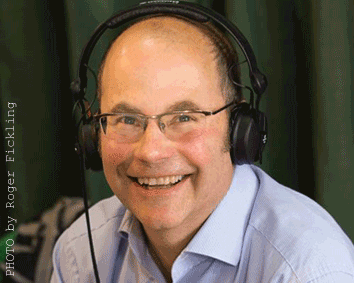 He is a BBC trained freelance sound engineer specialising in radio outside broadcasts and music recording. So naturally he is very particular about the quality of the sound system at the Magic Roundabout! Along with music from the usual sources, he also plays his own high quality transfers from 78rpm records. Bärbel Rücker is a tango teacher and international DJ who has played in over twenty countries at milongas, marathons, festivals and encuentros. In addition to this she has recently completed Feldenkrais training in Switzerland and is now a fully qualified Feldenkrais practitioner. She founded the Facebook Group “Forest of Dean TANGO”. 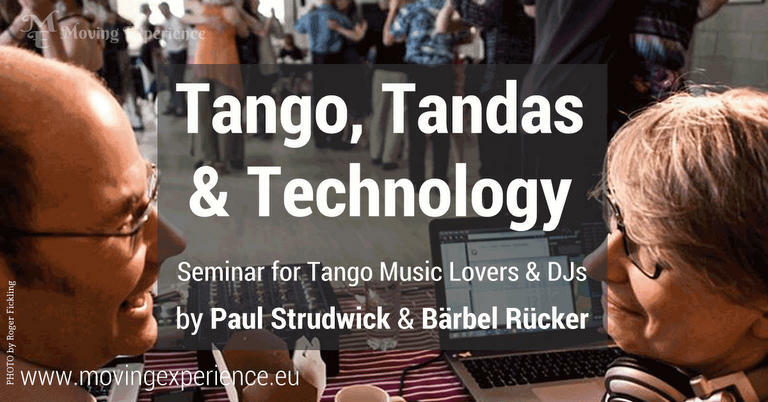 We are looking into the option of presenting our Tango DJ Workshop ‘Tango, Tandas and Technology’ in the UK and abroad. Please get in touch if you are interested in this opportunity and drop me a line via email info (at) movingexperience (dot) eu. – The Tango Now Playing In My Head Is….